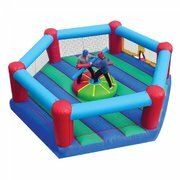 Inflatable Rentals | ThePGGames.com Deerfield IL. PlayGround Games are Chicagoland's #1 traveling events and entertainment company. 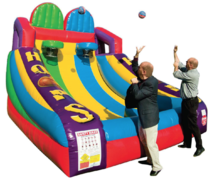 We offer only the highest quality party equipment and attractions. 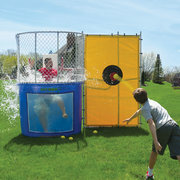 Below you will discover a variety of bounce houses, combos, water slides, inflatable games, dunk tanks and more. Brand new for the 2018 season and exclusive to PlayGround Games are our glow inflatables. Below you can find each item with descriptions, pricing, dimensions, and additional details for each rental. If you would prefer to browse our inventory by date instead, please scroll to the top right and click "Start a Reservation". This will take you through our simple booking process. We hope you have a great experience using our website. If you have any questions or would like additional details, please contact us. Inflatable pricing is standardized for 1-4 hours, 5-8 hours, 8+ hours and overnight. Depending on how long your event will be, will influence the pricing per item. We do offer discounts for group packaging based on how many inflatables you select.